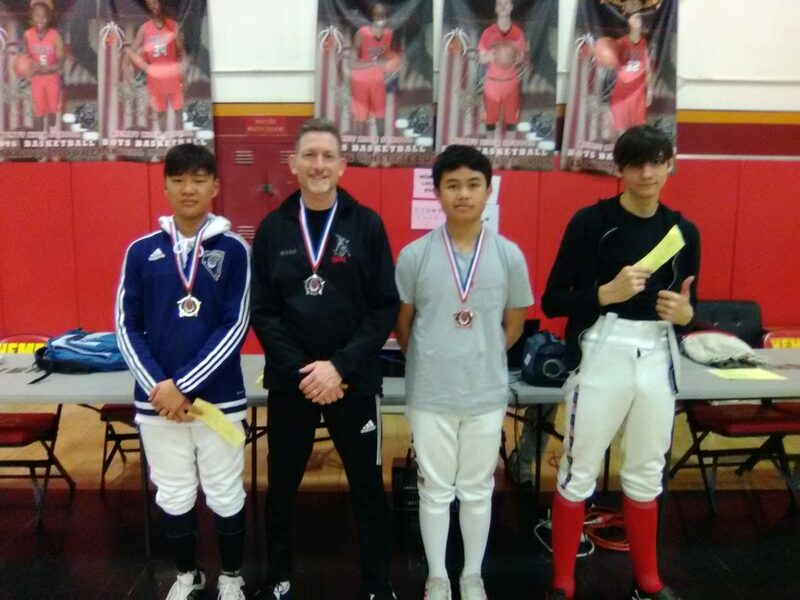 Epee (l-r): 1st, Alexander Jung (Battle Born Fencing), 2nd, Marc Kuritz (No Fear), 3rd, Juan Velo (Swords Fencing), 7th, Joshua Ruh (Hemet High School). Alexander earned his B19, Juan earned his C19, Joshua earned his E19. 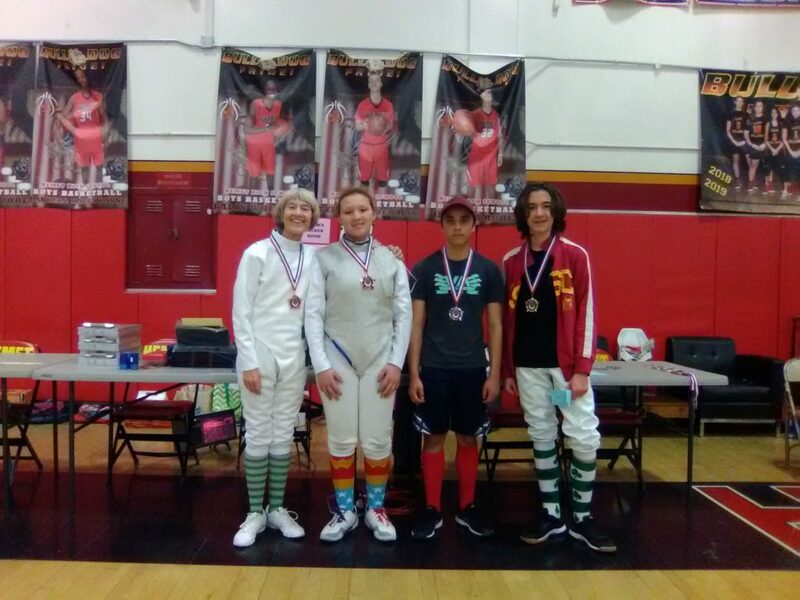 Mixed Foil (l-r): 3rd, Leslie Taft (Desert Fencing Academy), 3rd, Brandie Miller, (Lakeview), 2nd, Matthew Moore (Gryphon), 1st, Paul Zappia (Desert Fencing Academy). Paul earned his E19 rating in foil! 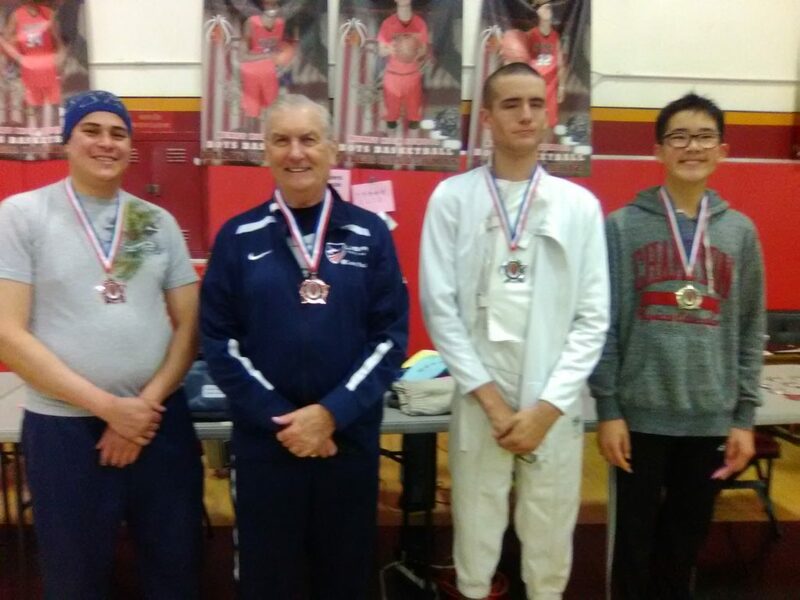 Saber (l-r): 3rd, Gabriel Lira (Arrowhead),3rd, Lucas Dobrzanski (Kern Athletic Fencing Foundation), 2nd, Jade Abbott (Hemet High School), 1st, Anthony Jiang (Spartak). Anthony earned his E19 rating in saber! 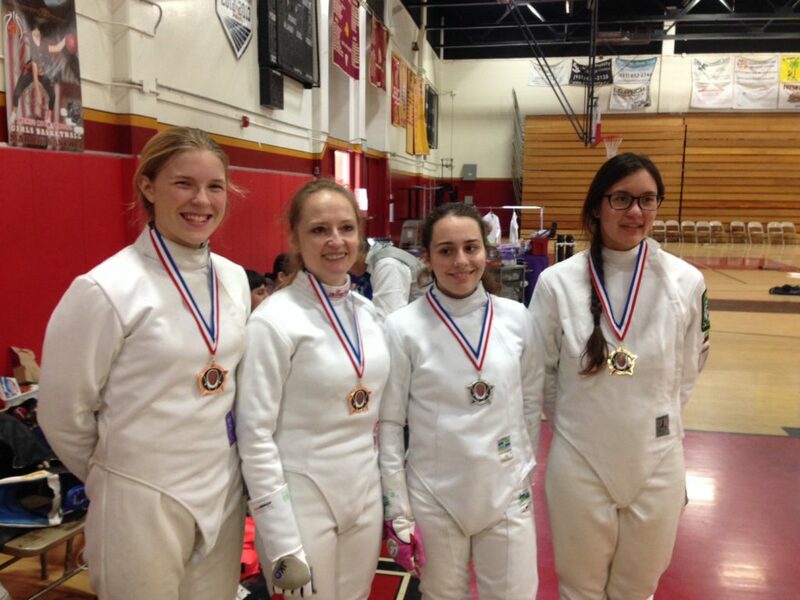 Women’s Epee (l-r): 3rd, Audrianna Downard (Gryphon), 3rd, Olga Ivanova (Swords), 2nd, Alice Oganesian (Swords), 1st, Sarah Hepler (San Luis Highlanders Fencing Club). 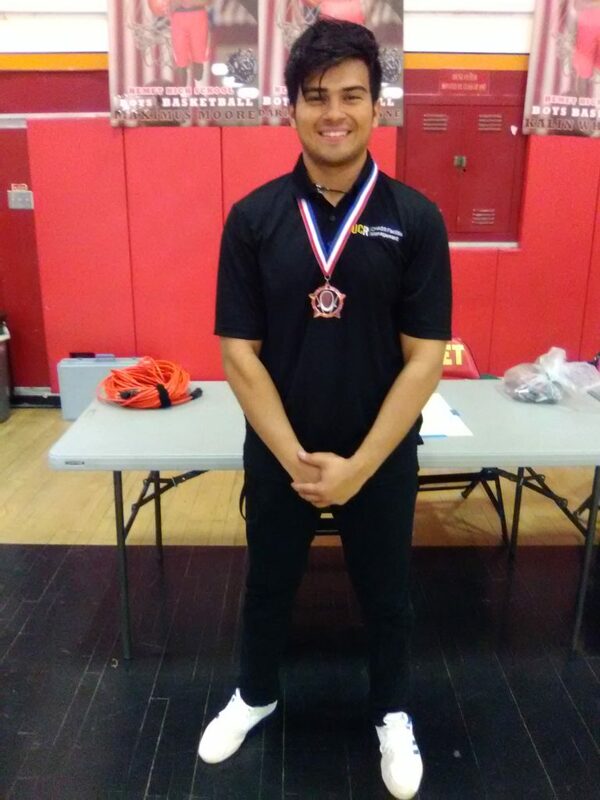 3rd, Robert Gallegos (UCR Fencing), earning his C19 rating in epee. With the wearin’ o’ the green this day before St. Pat’s Day, we had an exciting tournament with mixed saber, mixed foil, mixed epee and women’s epee. Even with the FIE Grand Prix going on in Anaheim, we had a good turnout with fencers and want to thank everyone who came and participated. Congratulations to the fencers earning their rating and thanks to all the fencers who came and made our competition fun and exciting. Our next tournament will be at Hemet High School, Saturday, April 20, 2019.